JOLIET, Ill. - One of four people accused of strangling two men for money to buy cigarettes and alcohol in Joliet, Ill. last year waived his right to a jury trial Monday. His fate now will be decided by the same judge who found a co-defendant guilty of murder last month. 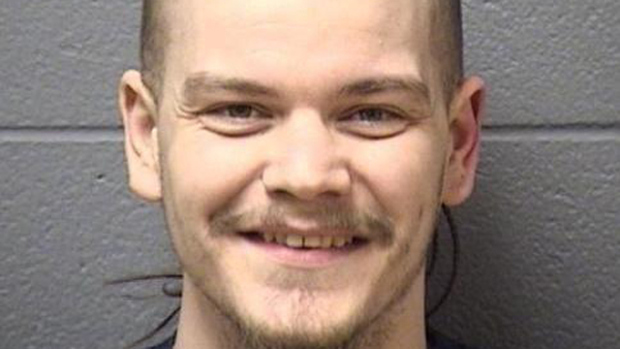 Jury selection was to begin Monday, but 26-year-old Joshua Miner opted for a bench trial before Will County Judge Gerald Kinney on first-degree murder charges. He will return to court Tuesday, where Kinney will consider a number of motions, including one by prosecutors to order Miner wear restraints in court. Miner is charged in the January 2013 slayings of Eric Glover and Terrance Rankins, both 22. He has been portrayed during court testimony as the ringleader in the plot to lure the men to the home of another suspect, where they were strangled, their bodies left with bags over their heads and hands tied behind their back. Miner and two other suspects were inside the house playing video games, the bodies nearby, when they were arrested by police, authorities said at the time. The fourth suspect was arrested in Kankakee. The Chicago Sun-Times reported a Joliet police officer has testified that when he and other officers arrived, Miner told him that he had "done the guy with the dreadlocks." The first person to stand trial, 20-year-old Bethany McKee, was found guilty by Judge Kinney and faces a mandatory life sentence when she returns to court for sentencing next month. Another suspect is awaiting trial, and the fourth person, 20-year-old Alissa Massaro, pleaded guilty to robbery and concealing a homicidal death in exchange for a 10-year prison sentence. As part of the agreement, Massaro agreed to testify against the others. She testified in McKee's trial and is expected to testify in Miner's trial, which is expected to last about a week.